Tobacco Advertising Policy research papers examine the history, and its emergence into our society in the 1960's up through the 1980's. 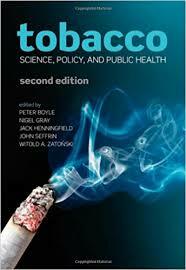 Tobacco advertising policy research projects focus on how advertising has changed over the decades. Policy regarding tobacco advertising has also evolved to encompass the various target markets that tobacco companies focus on. The evidence that cigarette smoking and the use of other tobacco products was a cause of major disease and posed a serious public health problem began to emerge in the 1960s after cigarette smoking was well entrenched in American society. In addition, the heavy consumption of cigarettes and other tobacco products by the American public during the first half of the twentieth century had positioned the tobacco manufacturers as a powerful lobby with significant resources to influence governmental policy. As a result of the large number of tobacco consumers and the financial position of the tobacco industry, the health lobby faced a formidable challenge in reducing tobacco consumption by placing tobacco issues such as advertising on the political agenda. The health care lobby focused primarily on educational efforts through the use of a large number of studies establishing the harmful effects of tobacco and demonstrating the financial costs to society that result from tobacco product consumption. This effort focused heavily on the use of advertising as the primary method to maintain legitimacy. This approach was based on the premise that advertising supporting the segment of the public that used tobacco products by legitimatising the habit and attracted new users to this population segment. If a significant portion of the public used tobacco products, it was unlikely that the government would alter its existing policy towards tobacco and the industry. In addition to this use of advertising as a component of a broad public relations campaign, the tobacco industry also strongly supported politicians from states in which the industry was an important factor in the economy. As a result, the members of Congress from these states generally opposed any attempt to alter the status quo due to fears that it would produce dissatisfaction among their constituency that was dependant on the tobacco industry for their livelihoods. The tobacco industry was also supported by the advertising industry due to the large amounts that were spent on tobacco advertising. Advertising and Society research papers examine the influence of marketing in mass media. Advertising Strategies research papers examine the campaigns designed by companies in order to encourage people to purchase a particular good or service. Public/Community Health Policy - Public/Community Health Policy Research Papers look at an example of how to order a policy paper with specific requirements. Definition of Advertising research papers overview the purpose of advertising and define its place in mass media today. Health Care Industry - Health Care Industry Research Papers explore an example of an order of a research paper on the health care industry with focus on the global segment, competitive forces, and alliances. Energy Saving Bulbs - An Energy Saving Light Bulbs Market Brief discusses the marketing objectives the Bright Bulb Corporation must use to impact sales early in a fiscal year. Banning Smoking in Public Places - Banning Smoking in Public Places Research Papers discuss the reasons why this law should be implemented. Imperial Tobacco Canada - Imperial Tobacco Canada Research Papers look at an example of an order placed with a specific set-up. Food Drug Administration - Food and Drug Administration research papers look into the agency of the United States federal government responsible for the protection and promotion of public health. Department Justice - Department of Justice research paper on the cabinet-level part of the United States executive branch, headed by the Attorney General and the highest law enforcement agency in the country. Prenatal Drug Exposure - Prenatal Drug Exposure Research Papers discuss the effects of drugs and alcohol on fetal development. Dysphasia - Dysphasia research papers examine a disability that causes a disruption in the brain’s ability to formulate speech and language. Crack Baby Myth - Crack Baby Myth research papers show how recent debate over whether or not the fetus is harmed during pregnancy when a woman takes crack cocaine. National Health Education Standards - National Health Education Standards research papers discuss the major reasons why health is taught in schools. Environmental Policy - Environmental Policy research papers discuss an organization or government’s commitment to laws, regulations, and policy mechanism that are concerned with the environment and sustainability. Health Promotion - Health Promotion research papers discuss the process of enabling individuals to increase their control over their health ultimately improve their overall health. Coronary Artery Disease - Coronary Artery Disease research papers examine the most common form of heart disease in adults and the leading cause of heart attacks. Paper Masters writes custom research papers on Tobacco Advertising Policy and examines the history, and its emergence into our society in the 1960's through the 1980's.